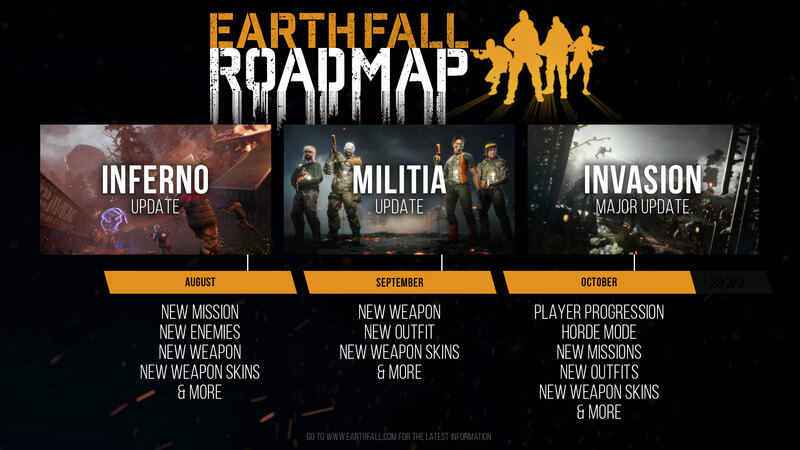 Invasion Update (major) - this will drop in October and includes a lot. Along with new missions and weapon skins, this update includes a whole new Horde mode and, perhaps most important of all, some form of player progression. Once this update gets implemented, you'll be able to earn experience on the different characters to unlock new outfits and even some new abilities. 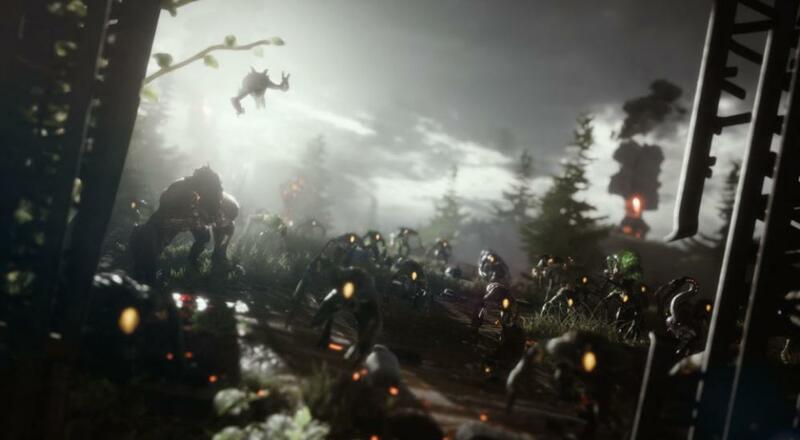 We streamed a bit of Earthfall last week as part of our "Let's Play Co-Op" regular Monday night streams, but had a bit of an issue with the archive. So, we'll be playing it tonight at 10:00 PM EDT over on our Twitch channel. If you're curious to see how the game is looking in its current state, tune in and check it out!